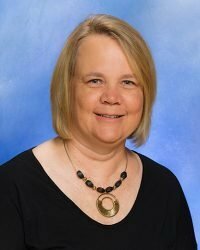 Ms. Tammy has an extensive background with charter schools that includes roles as a Regional Technology Director and School Operations Manager. Her most recent role was with the Colorado Springs Switchbacks as the Public Relations and Marketing Director. She holds a BA in Communications/Public Relations from Colorado State University and a MA in Instructional Technology from the University of Northern Colorado. In her free time she is very involved with her son’s competitive soccer team, traveling and enjoys spending time with her husband, daughter and four dogs.